One of the major differences between working as an employee and working for myself is the use of my car. When I worked out of a central office, going to work meant driving there, then using the company truck to drive to the outlaying studio or transmitter site locations. Now that I work for myself, I drive either my personal vehicle or the truck that belongs to my company. Our radio clients are in several states in the northeast and covering all that territory on a weekly or monthly basis requires a lot of driving. For example, it is 100 miles exactly, one way from my house to Bridgeport, CT. Depending on what is going on, I can take the 1997 Jeep Cherokee, which has over 210,000 miles on it and gets about 21 miles per gallon, or the 2004 Chevy Silverado 1500 pickup truck, which has 68,000 miles on it and gets about 16 miles to the gallon. With gas being about $4.00 per gallon, it’s a choice of shooting myself in the leg or shooting myself in the foot. 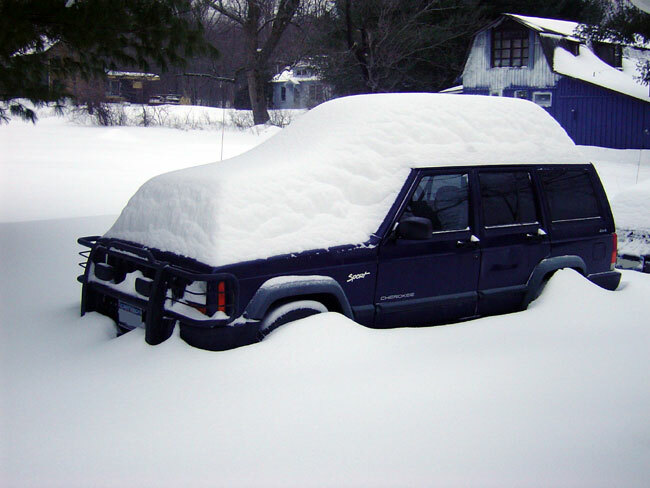 The Jeep I paid cash for in 1999 and I have kept it in good working order. It is, by far, the best snow vehicle I have ever owned. I don’t know exactly why that is, it has simple four wheel drive (really two wheel drive because of the full slip differentials). I imagine the heavy cast iron inline six engine over the front wheels has something to do with it. This is an important distinction, as many off air emergencies happen in the worst weather. It is simple and rugged and wearing out. I keep saying to myself, the first major problem, e.g. transmission or engine, I am having it towed to the junk yard. 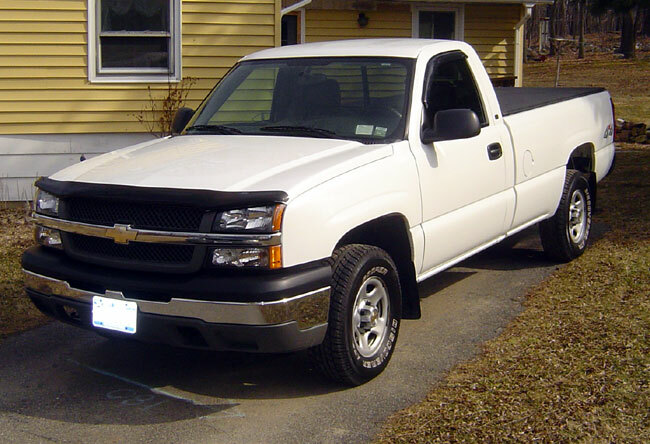 The Chevy truck is owned by my company, I purchased it three years ago when I started the solar installation company. It has the 5.8 L V-8 engine with the tow package and the “pre-snowplow package.” It has real four wheel drive with limited slip differentials front and back. It handles like a tank. I use this when I need to haul tools, materials, parts, junk or whatever. I have portable parts bins and tools that I can move from one vehicle to another, as needed. The problem with these vehicles is the expense in operating them. I generally try not to take gas payments from the company I work for, as I am not an employee of that company, I’d rather take the mileage write off. Still, there are times, especially at the end of the month, when I am filling up the pick up truck and watching the gas pump turn over the $100.00 mark, that I have to cringe. I am fairly tall; will I look like a weenie getting in and out of this thing? I drive a lot of interstate miles; if I get into an accident will I get squashed like a bug? Will all my stuff fit in the back of this thing? Here’s a secret to all those broadcasters that think streaming on line is the answer to all the worlds problems: It isn’t all that. 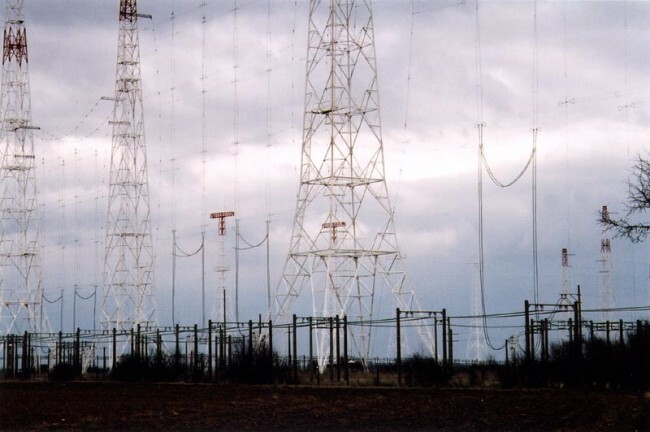 I used to like listening to Radio Netherlands (Radio Nederland) on the shortwave. They have some excellent programs like The state We’re In. One problem, the only way to get it these days here in the US is via webstream. The same for many other world broadcasters like the BBC, CBC, HCJB, et. al. Most of these former big shortwave broadcasters have greatly reduced their operating hours or left the air waves all together. Streaming content on the world wide web is not broadcasting, nor can the quality and reliability be compared. Web streaming is far less reliable and offers lower quality than does HF broadcasting. The former broadcasters which have abandoned the airwaves to the likes of Radio China International will say otherwise, but that is their spin on the situation. Of course, using and maintaining high powered broadcast transmitters is expensive, especially for governments that are faced with tough financial decisions. First and foremost, streaming requires that I use my computer as a radio while I am trying to do other things on it. I bit of background on my computer; I have a 8 year old Dell Inspiron 5150 that I purchased when I was working on my degree. When I got it, I asked our IT department guys what was the best course for buying a new computer. Their answer was to get the best, fastest processor available because everything else can be replaced/upgraded. I did just that, with a 3.06 GHz intel mobile P4. I have replaced the hard drive with a 200 GB unit and upgraded the RAM to 2.2 GB. The keys have most of the letters worn off, it has very distinctive wear marks on the case where I place my hands, etc. It has lived up to my expectations for serviceability and then some. Even so, it does have it’s limitations. Listening to streaming audio of watching streaming video is not one of it’s strong points, especially when engaged in other tasks. Often, when listening to streaming, there are drop outs and other interruptions and the audio just doesn’t sound great coming from the computer speakers. Even external speakers leave something to be desired, quality wise. Something about the digitized sliced and diced bit reduced stream that I find annoying and worse yet, fatiguing. We live out in the sticks. Our local phone company, in spite of being the largest dial tone provider in the nation, has some reliability issues when it comes to their DSL service. Several times, the DSL goes out for not apparent reason, returning several hours or days later without comment from the TELCO. If you call in outage, they always act like they never heard of the problem. Listening to my shortwave receivers offers better reliability and quality than streamed audio. I know I am not alone in this regard as several others have made the same comments. Listening to shortwave is listening to real radio, listening to tinny thin audio over a computer or smart phone is crap. There is an ever dwindling selection of English shortwave broadcasters listenable in North America. Nature, as is said, abhors a vacuum. Therefore, in come the religious broadcasters, false prophets, anti government crack pots, hucksters, other governments with money like China and Russia, pirates and others to fill the void. That is all well and good I suppose, but I do miss that day that I could get BBC news at the top of the hour on 15400 KHz. Round up the usual suspects; a good maintenance log is helpful here to track re-occurring failures. If the failure cannot be attributed to an external source (such as power surge or lightning storm), what was the last thing that was changed or worked on. Following the trail back to the origin; Often the first failed part found is a symptom, not the actual problem. It takes some skill in reading schematics and making sense of a failure to trace it back to the real problem. It can sometimes be exciting, like turning on the 25 KV high voltage supply and have big blue flashes issue forth from the top of the transmitter. Sometimes it can be quite frustrating, like when the station owners refuse to spend money to fix a problem. Sometimes it can be dull, like fixing the same problem over and over again because of the previously stated money problem. It’s also disheartening when the problem was caused by the stupid DJ spilling soda in the console. Not that all DJ’s are stupid, just the ones that spill things into consoles. The challenge of finding the root cause can often be enlightening. I have often discovered unrelated problems waiting in the wings while investigating the why of an outage. It is great to fix those things before they burn the house down, but this approach often goes unnoticed by the ownership or management. Lately, for some reason, an once of prevention goes un-noticed or unappreciated. Inquiring or curious disposition. It is fairly easy to get to the first failed module or part. Discovering the reasons behind the failure and or getting down to the component level takes a good deal more effort. Patience. This goes with the second part above, it takes some stick-to-it-tive-ness to trace out the not readily apparent problem. Good analytical skills. 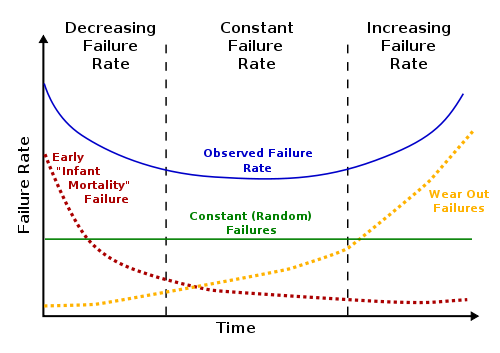 Often failures generate a cause and effect scenario. The effects can be startlingly distractive and mask the causes and the under lying problem. Ability to view the large picture. This is critical to discover outside influences and other issues that are indirectly connected to the system or issue at hand. Ability to analyse the system design. This requires the background training and experience to look at a circuit diagram and discover non-error tolerant systems. Sometimes these systems can be modified for better fault tolerance. Poorly designed equipment is the bane of the broadcast engineer. Equipment manufactures can sometimes fail to follow two key principles: KISS and maintainability. KISS stands for Keep It Simple, Stupid. There is no better design criteria than the KISS principle. Adding layers of complexity increases the failure expectations. Maintenance can be something as simple as cleaning or changing air filters. Making maintenance tasks difficult almost ensures that they will not be done. Eventually, all things wear out. It also takes some large picture skills to know when it is time to replace equipment and that can vary greatly from situation to situation. Old world and all that. I am of the impression that the European broadcast engineers are a more studied lot. There process involves much more deliberation, thoughtful analysis and planing than ours does. For example, when it comes to station loudness, most programmers and many engineers (myself not included) to the more is better. It is thus that we get the Omina 11 and other audio squashers. Aside from the above mentioned EBU R128, there are four technical papers dealing with implementation, meters, distribution and so on. The body of work is a recommendation not a requirement. I can’t imagine voluntary implementation of something like this in the US. Even so, there are advantages to having a single acceptable level of programming audio. It is interesting reading. In case you haven’t heard, May 21, 2011 will mark the beginning of the end of the world. It is on this date, according to Harold Camping, the rapture will begin. For those not versed in bible lore, this is when God will take all of the saved souls directly to heaven, body and all. Further research reveals that it will begin at 6pm local time, in every time zone. The full shortwave schedule is available here. I am setting my clock so I can tune in and see what happens because I am curious; dead air? station sign offs? I really want to know how a station plans for the end of the world. Hopefully it will be marked by some program, announcement or something special. Operations as usual would be very boring, as most Family Radio programming is mundane and predicable. Frankly, Camping has made these predictions before, the last was September 6, 1994, when the faithful gathered in the Alameda’s Veterans Memorial Building, bibles open, hands out stretched, awaiting the moment. After a while, it became clear that something was amiss and everyone went home, wondering what went wrong. There have been many religious based predictions for the world ending: 1806; October, 1844; December 21, 1956; November 1982; January 1, 2000: etc. The Jehovah’s Witnesses alone have predicted the end coming in 1914, 1915, 1918, 1920, 1925, 1941, 1975 and 1994. It’s either a really good radio stunt, which would go down as one of the greats of all time or they actually believe it’s the end of the world. In the case of the latter, does this mean they will be selling their radio stations? There are several around here that I’d be interested in getting my hands on. I’d even give a fair price, considering the circumstances and all. Update: How do radio stations prepare for the end of the world? T -40 minutes and the answer appears to be play canned programming, or in other words, business as usual. FCC Commissioner Meredith Attwell Baker is leaving the FCC to become a lobbyist for Comcast – just four months after she voted to approve the Comcast-NBC merger. This is nothing new under the sun and has, in fact, been going on for years. It’s called “The Payoff.” Conflict of interest? On the surface, it sure seems that way, but perhaps there is some other innocent explanation for this move. I can’t, for the life of me, think of what that might be, but I’m sure somebody will come up with something. The email continues on with a plea to call some congressman to investigate the FCC. Perhaps I have grown a little cynical but I have my doubts about the effectiveness of such an effort. In spite of my cynicism, as their motivations seem to be in the right place, I applaud Free Press for their efforts. Other like minded groups need to keep the pressure on and keep this in the spotlight. Naturally, NBC and other networks have uttered not a peep about it. The public blindly goes along while big business and wall street banksters continue their efforts to return to Feudalism. Soon, one company will own the entire country. Everyone will shop at the company store, Wal-something or another, live in company housing, go to the company medical clinic and worship at the company church. The answer, of course, is independent voices, independent investigations, in depth reporting, in short, everything that is currently missing from the media landscape today. That, and some kind of electric shock or something to get people off of their fat asses and care about something. Update: Several people have taken notice; The New York Times, TIME magazine, and The Daily Show. Wireless LAN technology has been around for quite a while. Point to point 2.4 and 5.8 GHz spread spectrum hardware has also been around for some time. 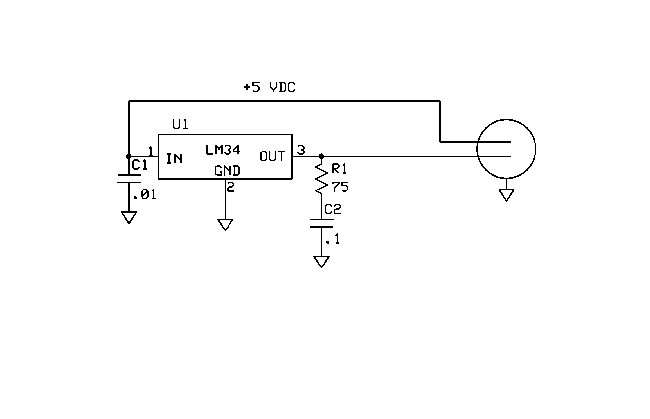 These systems operate in the ISM bands at relatively low power levels and are license free. 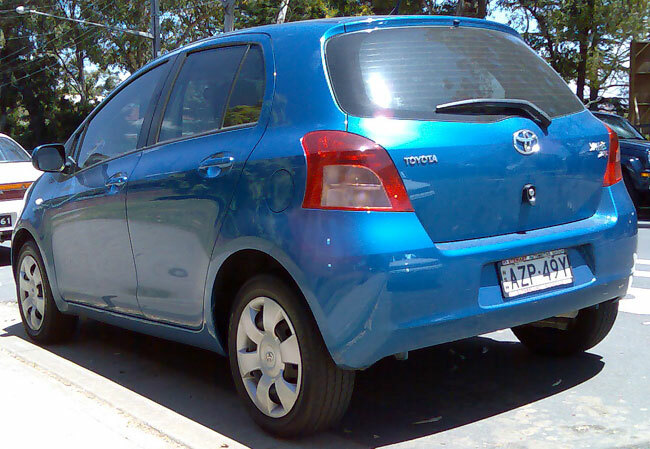 There are several different makes and models, however, they all have some similar specifications. Most have DS-1 (T-1) or ethernet 10 base T or 100 base T 802.3 architecture. Some are field configurable for either format. The advantage of using 802.3 ethernet is the availability of ethernet sound cards and the possibility of making an inexpensive audio to ethernet A/D converter. However, if a station is currently using telephone company DS-1 service, then they likely have the audio to DS-1 multiplexers on hand. I have used the Axxcelera point to point system as an inter city relay for a satellite downlink. Axxcelera is owned by Moseley, which has a long history in the STL business. The point to point system has an indoor unit, which has the RJ-45 ports and an outdoor unit, which has the RF section and an integrated antenna. The two units are connected via Cat 5 cable (be sure to use UV resistant cable) through a power injection port. The newer units do not need the power injection port. The system gain is about +46 dBm and the claimed effective range is 20 miles. I’d suspect it to be somewhat less than that with the integrated antenna. There is also an N connector for an external antenna, making the outdoor unit a MMA (Mast Mounted Amplifier). The indoor unit came configured with four 10 base T ports, which we reconfigured for DS-1 service. We connected a QEI CATLINK T-1 mux with several 7.5 KHz audio channels and one control channel connected to a broadcast tools DSC 3264 (Starguide satellite receiver channel controller) that allowed the station to change channels on the fly. It took some doing, but in the end the system worked well. The path was about 1/2 mile through downtown buildings, it was line of sight, but did not have full Fresnel clearance. I never heard of any dropouts. The other system that I have used is the ADTRAN TRACER. This system is different in that it does not have an integrated antenna, an external antenna is required. We installed this over an eight mile path using two six foot grid parabolic dishes (Radio Waves G6-2.4NF) on 2.4 GHz. 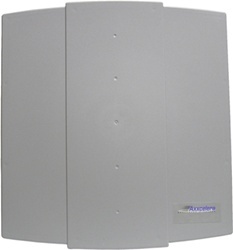 The primary configuration is with a rack mounted indoor unit with either four or eight 802.3, E-1 or T-1 ports. These ports are not field configurable. The antenna connector is a type N. There is also a split configuration available; an indoor unit with the T-1 ports and an outdoor MMA. This set up is best used where transmission line lengths would create prohibitive losses. MMA’s are not my first choice in these systems, there are too many things that can go wrong when active components are mounted high above ground level. This system replaced two Telephone company T-1 lines and is used as an STL for two stations and an inter city relay for a satellite downlink site. It also extends the office LAN (802.3 ethernet) to the transmitter site where a backup audiovault server lives. This is accomplished through a T-1 port using an ethernet to T-1 bridge. ADTRAN also created a path analyser spreadsheet. Keeping Public Radio Public has a good one. And the lame-stream press — how dare they be called the “liberal media”! — only parrot the script prepared by the puppet masters, as corporate “largesse” and control has turned the media into toothless old watchdogs. They make good company for the regulatory agencies once charged with protecting the public from the excesses of corporate greed. They’re good dogs now, too. Exactly why independent media outlets are not just a nice feature of a democracy. If one where to read the entire constitution of the United States, a theme, loosely known as “checks and balances” becomes apparent. You could also call that theme “Trust Not.” I recommend anyone who is interested in freedom read the Federalist Papers. Even with the watered down press, US Congress has a 9% (Rasmussen, April 2011) approval rating. Surely, the public understands that something is amiss and needs to be fixed. While the internet and new media is great, it is too easy to mess with the internet. True independent media needs to have independent distribution, not beholden to corporate ISP’s, search engines, data centers and so forth. Radio fits that bill, to the extent that it is not broadcasting homogenized safe, automated, faceless music formats programmed from afar or content from The Borg like collective of NPR. Independent radio still exists in small pockets scattered here and there. Where it exists, it often thrives in spite of corporate conglomerate. Of course, consolidation has reduced the radio business to a shell of it’s former self. The FCC has no interest in reigning in those corporations, or, so it seems, enforcing many of it’s own existing regulations. Money talks, screw the public. What is the answer? Get involved. Don’t buy into the lies. Use your God-given senses and do some research. Draw your own conclusions. Make noise. Confront the corporatists with the facts. Use every means possible to get the word out. Write your representative or senator (after you register to vote). Talk to co-workers, friends, family people on the street, etc. It’s time, in fact, it’s now or never. As a part of the re-wiring of a transmitter site, I realized that the site needed a temperature sensor. I believe it is important for any remote transmitter site to have a temperature sensor, too many things can go wrong at a transmitter site. I recall one incident at WGNA-FM in Albany, NY were a ventilation fan failed on a hot summer day. The Harris HT-10 transmitter stayed on the air while the temperature climbed through 160 degrees inside the building, finally shutting down when the solid state driver module failed. This site had a temperature sensor and a live operator taking transmitter readings every three hours. They faithfully logged the temperature increase in three hour increments but didn’t call anyone until the station went off. When I arrived there, it was so hot inside the building the I couldn’t touch a metal surface. The LM34 is available in TO-46 or TO-92 case. I bypassed the V+ with a 0.01uf capacitor. It should be mounted in a small box with the case of the LM34 mounted on a metal cover or heat sink. The TO-46 version, the case is ground. It can be run on any voltage from +5 to +30 VDC, I used +5 because I had a little wall wart with the right voltage. The wire is any type of balanced audio wire like Belden 8459, etc. The LM34 cost 4 dollars, the rest of the parts were laying around. It took about 15 minutes to create. The site is air conditioned, therefore I set the remote control to alarm if the temperature goes above 85 degrees F inside the building.